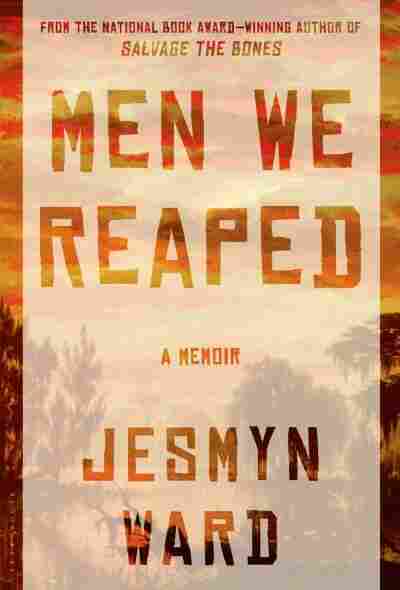 Book Review: 'Men We Reaped,' By Jesmyn Ward Jesmyn Ward's new memoir Men We Reaped follows the lives and tragically early deaths of several young black men — Ward's brother among them. Reviewer Richard Torres says Ward is "talented enough to turn ... prose into poetry," but that she doesn't sugarcoat her terrible experiences. On July 18, 1863, the Union Army's famed 54th Massachusetts Volunteer Infantry — a black military unit — made a desperate assault on Confederate forces at Fort Wagner near Charleston, S.C. In the end, they were unsuccessful and lost almost half of their forces. Escaped slave-turned-abolitionist Harriet Tubman bore elegiac eyewitness to the terrible day: "We saw the lightning and that was the guns," she said later. "We heard the thunder and that was the big guns; and then we heard the rain falling and that was the blood falling; and when we came to get in the crops, it was dead men that we reaped." Jesmyn Ward's superb memoir Men We Reaped finds powerful new meaning in Tubman's words, which serve as a still-relevant metaphor for the Southern black American experience. Ward, winner of the 2011 National Book Award for her novel Salvage The Bones, chronicles an existence filled with social strife, economic struggle and, all too often, death. The public's been conditioned to think of the deaths of African-Americans — particularly young black men — purely in terms of statistics. Think about it: news broadcasts are chock full of such stories. How many times have you heard about a bloody weekend in Chicago or Detroit, or a deadly accident in New York or New Orleans, and then dispassionately moved on? It's a sadly human defense mechanism: an informed callous apathy. We might shake our heads as we register how appallingly high the number is, but little else. No further thought is expended about the crime, the tragedy, the victims or, perhaps most egregiously, the surviving family members. What Ward does is take the reader behind the statistic, using her tiny home town of DeLisle, Mississippi, as a jumping-off point. DeLisle is a place accustomed to tragedy, particularly in the lives and premature deaths of the town's black men. "Men's bodies litter my family history," Ward writes — beginning with the devastating death of her only brother, Joshua, killed by a white drunk driver. Joshua is one of a group of five young men at the center of Men We Reaped, all between the ages of 19 and 31, and all dead, mostly by violence. Ward presents her incisive portraits of these men in reverse chronological order, so the gut-punch of Joshua's death comes at the end of the book. Even more ambitiously, Ward contrasts these lives and deaths in alternating chapters with a linear history of DeLisle — originally called Wolf Town by its first settlers — and of her family, up to and including her parents, three siblings and, most unsparingly, herself. It's a town of families where folks consider themselves "kin." Or as Ward pointedly states: "poor and working class, but proud." That sense of community explains the pull that the Deep South has on African-Americans, even though for many of them who remain there, life remains separate but unequal. Ward herself is bewildered to feel homesickness while attending Stanford as an undergrad: "I knew there was much to hate about home, the racism and in equality and poverty which is why I left, yet I loved it." And she quite rightly points out that the area's move away from manufacturing jobs to service gigs at casinos and hotels — along with an indifferent educational system — led to massive unemployment. In response, Ward notes, many men — bereft of job prospects and absent hope — numbed their emotional pain with drink or narcotics. Some turned to selling drugs to get by. Some did both. Others — like Ward's father, who left DeLisle for New Orleans — left their families in search of other pursuits. Meanwhile, the town's women worked menial jobs: Ward's mother cleaned the houses of several wealthy white families, one of whom financed Ward's private school education. (It was an Episcopalian private school where Ward, the lone black female student for 5 years, consistently endured racial harassment.) "What it meant to be a woman: working, dour, full of worry," writes Ward. "What it meant to be a man: resentful, angry, wanting life to be everything but what it was." Ward's deceptively conversational prose masks her uncommon skill at imagery. She makes you feel the anguish of each lost life, as well as her survivor's guilt, with its ever-present haunt of memory. At services for 23-year-old Roger, she looks at the memorial T-shirt being passed out and realizes that not only does she know five of the seven dead men whose photos are on the shirt but also that she's mortified by the thuggish picture chosen of her brother, which "revealed nothing of what he was and represented everything that he wasn't." Then there's her anger with herself for being judgmental after seeing 20-year-old C.J. — later burned alive in a car accident — selling drugs while sitting on the roots of an old oak tree. "What I did not know at the time was that he hated sitting on that tree," she writes. "That he wanted more for himself, but he didn't know how to get it." With Men We Reaped, Ward capably, sensitively covers many important subjects — from the fragility of African-American manhood, to the expectations of familial responsibility, to the difficulties of living in both the white and black worlds — an issue W.E.B. DuBois termed double consciousness, as Ward points out. But the backbone of Reaped is Ward's reportage. In each vignette, she's often silent, but always watching and processing. She's candid enough to paint the flaws in the deceased as well as their good qualities. (In other words, Ward humanizes instead of canonizes.) She's also talented enough to turn such prose into poetry. Far too many authors sugarcoat their memoirs. Not Ward. She's uncommonly direct about her emotions: she's still — deservedly — enraged about her brother's death, especially since the man who did it was imprisoned for just two years. She's conflicted about the emotional and physical price — arthritis — her mother paid to support her and her siblings. She grieves deeply for those lost too soon. And still, she wonders about the hold the hot Mississippi air has over her. But in that last case, perhaps Ward's answer is right in front of her. For those shocked at the dignity displayed by Trayvon Martin's parents both during the trial and after the verdict, Ward's descriptions of the DeLisle community coming together to comfort each other after each tragedy is a reminder of the grace African-Americans exhibit daily, under the most painful of circumstances: the sudden loss of a loved one. But then again, that's what real kin does whilst the unspoken battle for true equality rages on. Harlem-born and Brooklyn-bred, Richard Torres is the author of the novel Freddie's Dead. He has written for many publications including XXL, The New Yorker, Rolling Stone, The Village Voice and The New York Times, and has also penned album liner notes for a number of artists including Marvin Gaye, Richard Pryor and Dave Brubeck.